This is where I am keeping my patterns. I am happy to share with you. 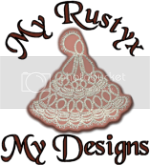 These are my own Designs and have Copyright. They are not for reprinting or selling without permissions. At this time My Patterns are FREE! If you are asked to share... 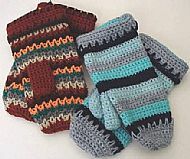 Please, send you friends here to my website so that they can download their own copy or can email me and I will send the pattern to them. Sometimes photocopying can distort the pattern drawings a bit. A note in my Guest Book would be most appreciated. Bookmark using Point Ground Techniques. Two variations. 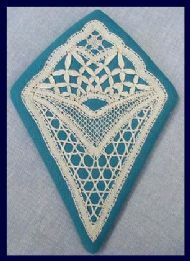 Illustration of complete bookmark included in pattern. 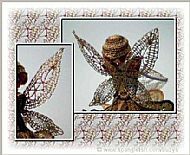 Simple pattern for small Faerie Wings in two sizes.Approx 5.5 cm x 5.8 cm and 6.8 cm x 7.7 cm. Christmas Tree in Bobbin Lace with metallic threads. Torchon Grid adjusted to give shape. 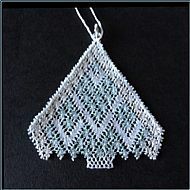 Bobbin Lace~ Second variation using the same pricking. I used a false foot side to start this one. 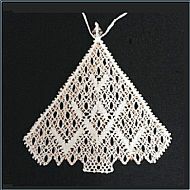 Needlelace: Small purse with Ear-Rings. 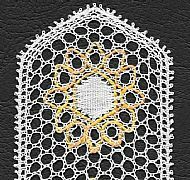 Bobbin Lace~ Motif used to decorate hand crafted Scissor Case in cotton fabric. I wrote this patterns a long time ago and it has been downloaded from a previous site so many times, (over 10,000).